On Saturday we replaced the old sign on the front of the church, and put up another one on the side of the building. We're thankful to Oasis Design Studio for working with us to design them, and to our friends Daniel and Joel for bringing them over. 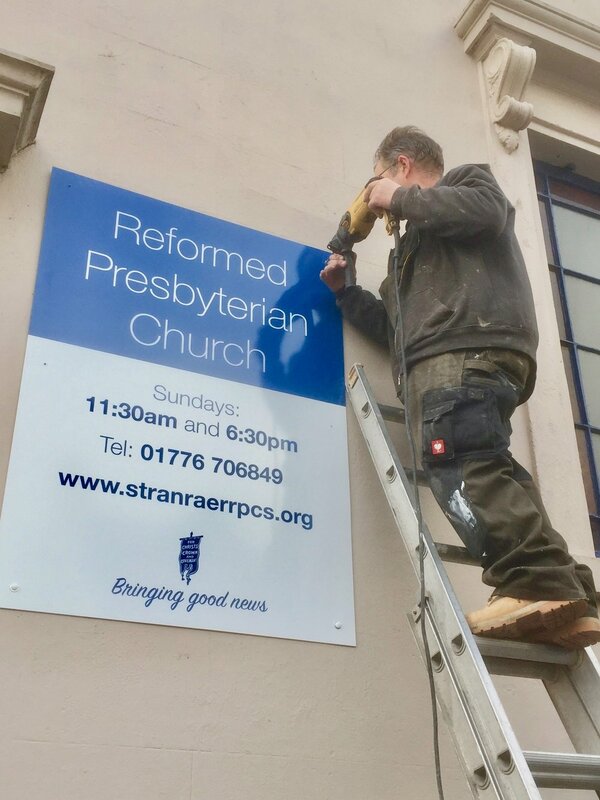 The work to the church hall is also coming on well, and we are looking forward to the potential opportunities that will open up as we seek to 'bring good news' to Stranraer!